In the wake of New York Fashion Week, we've taken the liberty of uncovering chic designer brands that deserve to be on your radar. 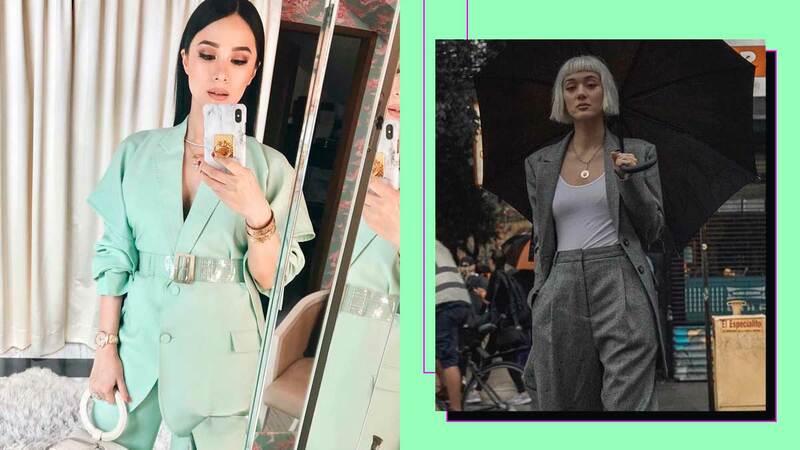 One of them is Tibi, a New York-based designer brand local celebrities seem to be obsessed with! The brand was established almost 20 years ago by Amy Smilovic, who decided to incorporate a more designer approach to her label instead of competing with fast fashion brands. Her clothes are sold in stores across the US and in designer outlets such as Bergdorf Goodman and Saks Fifth Avenue. Heart Evangelista, Liz Uy, Laureen Uy, and Camille Co have been repping Tibi way before NYFW started—clearly, these yellow pleated dresses look nothing short of stunning on them! The Tibi Pleated Dress With Removable Belt retails for $995 (P53,794.68). Its sleeveless equivalent retails for $895 (P48,388.18). Here she is wearing the Tibi Gingham Men's Blazer With Back Zip Detail, costing $695 (P37,575.18).